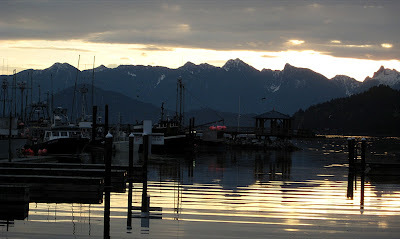 Morning dawns on us in Gibsons. 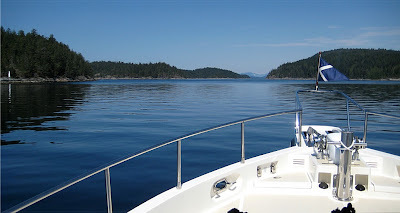 Another beautiful sunny day on BC's Sunshine Coast, of course! Flat seas, no wind, a tug or two and pretty scenery. 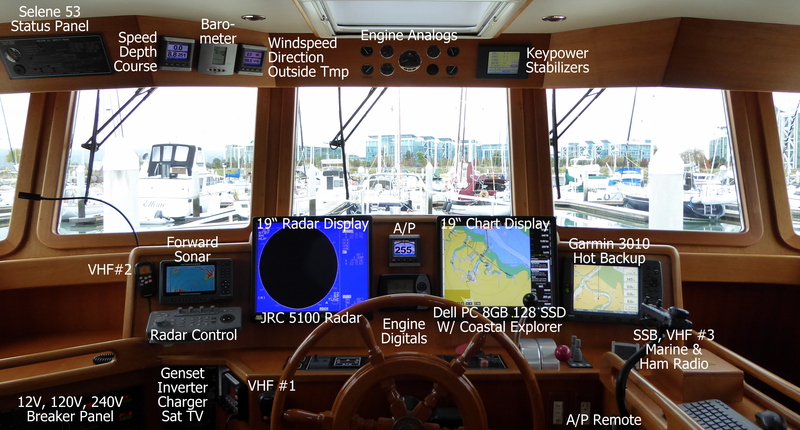 When motoring in flat seas under autopilot, there's not much to do except monitor the engine gauges, check the course, and watch for logs and junk in the water. 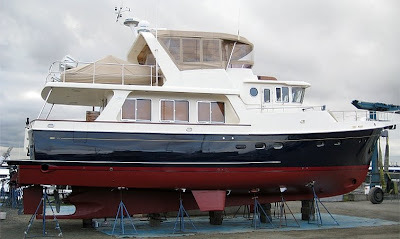 With all that's going on in the news (the Pig Flu, the Republican defector, Lakers B-Ball, American Idol, and not wanting to miss the next Viagra spam email) it would nice to "be connected" while the boat is motoring along. 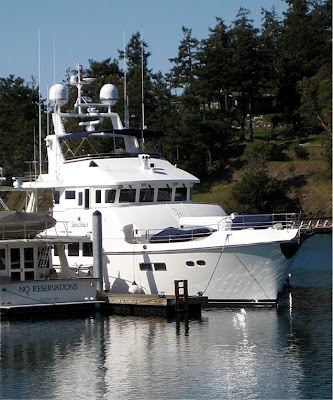 We usually have internet connection when in port via our BBX marina service here in the Pacific Northwest. And getting internet access offshore via satellite is no technical challenge, except for one thing: it costs BIG bucks. So to keep busy, Alex adapted a technique learned from Max to get mobile internet access: war driving! Normally you would get a laptop with external antenna mounted on the car roof, and drive about town gaining internet access through someone else's home wifi router. On the Wild Blue it's called "war boating"! We already have a wifi bridge with power amplifier on top of the radar arch, and can receive and transmit wifi extra long distances. Since we're cruising up the coast near many homes and businesses we see many wifi signals. 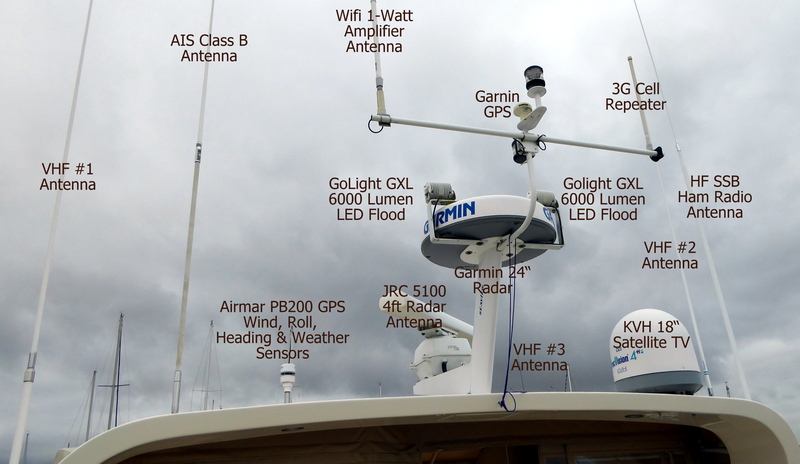 A sample of the many wifi access points open to "war boating". 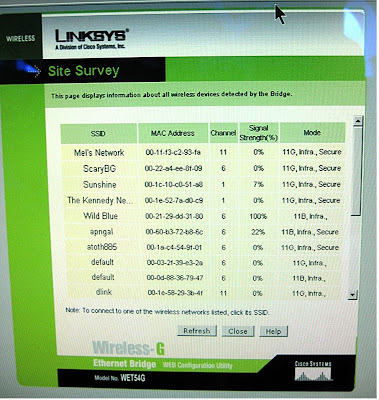 Once we find a strong wifi signal that hasn't been secured, we tell the Linksys Bridge to connect. At 9 knots speed about a mile offshore, we can hold a good signal for about 5 minutes worth of internet access. Just enough to download the email, read Google news, etc. For today's cruise, we wish to thank Allock Family Net, Bernsteins Network, linksys and default for leaving their wifi networks open to us boaters! 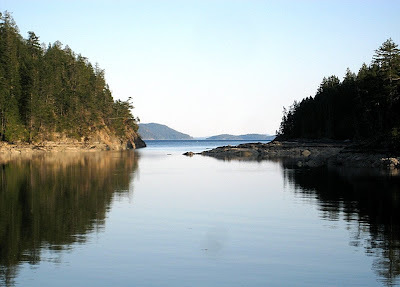 After 2 hours of "war boating" we arrived at Secret Cove and gave some thought to continuing onto Refuge Cove. We'll do that tomorrow. We've been to Secret Cove many times. Pat remembers it for the CYC cruise where she hand-crafted 150 meatballs for the crews. Good times. Secret Cove Marina is still pretty low on activity so far this year. 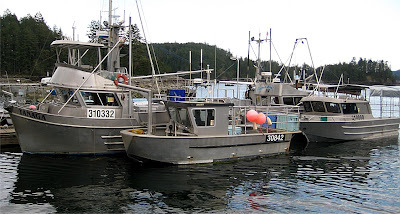 The BC commercial prawn season usually starts around May 1st. So the prawners are amassing here at the Secret Cove public dock where the excitement begins in just a few days. 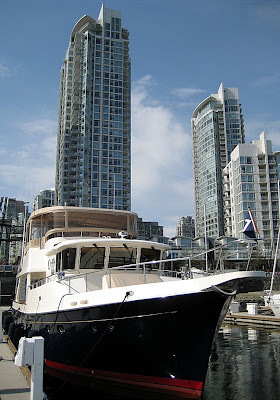 The Wild Blue departed Vancouver at 6AM and headed to Gibsons Landing on BC's Sunshine Coast. 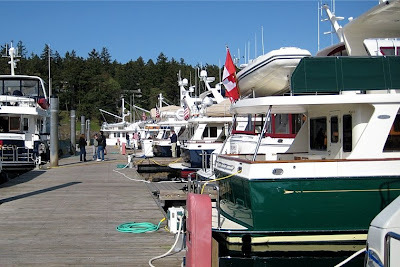 Gibsons is only about 20 miles by boat, but some 40 miles by automobile. 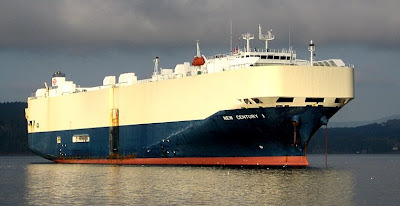 Not many boats out, just one empty freighter moving into Vancouver to load containers, and a tug towing two wood chip barges. The seabirds were out in force and Pat recognized them as the same we see in Alaska. 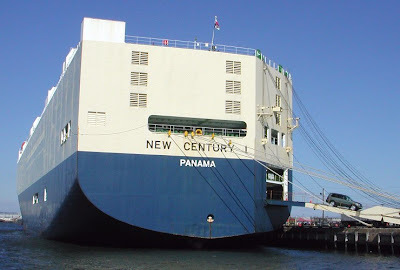 Perhaps they're moving up the Inside Passage as well. The seabirds were out in force today. 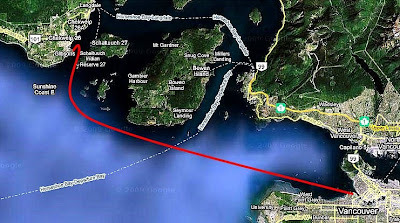 The 20-mile run form Vancouver to Gibsons Landing. 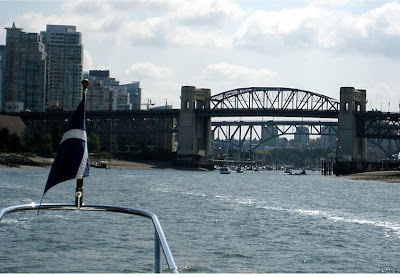 Of course the big challenge this time of the month is the large tidal change (the difference between the high and low tide), which in turn generates large tidal currents. 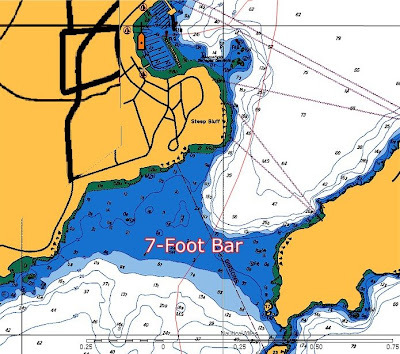 There is a shallow, 7-foot depth bar, on the final approach to Gibsons Landing. We want to cross it close to high, slack tide to avoid the speedy current, and have a bit more space between the sea floor and Wild Blue’s keel. So a 6AM departure and 8.5-knot average speed put us in front of the Bar at around 8AM and we crossed without incident. Gibsons Landing is a scenic seaside village, located on the shores of Howe Sound beneath stunning vistas of the coastal mountains. Gibson's Landing was established in 1886 when George Gibson's boat blew off course and he and his two sons landed here by accident. 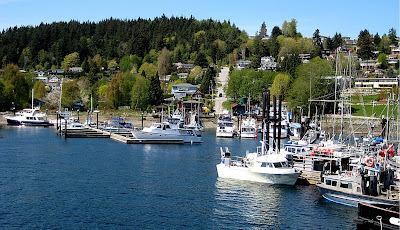 Incorporated in 1929, local residents persuaded the Post Office in 1947 to drop the "Landing", so today this lively waterfront community is known simply as Gibsons. In this unique setting on Howe Sound, surrounded by Mount Elphinstone to the north, Howe Sound to the east, and the Strait of Georgia on the southwest, you experience a mild west coast climate. 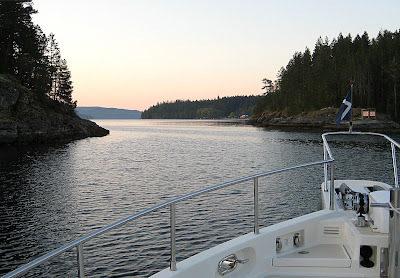 Breathtaking mountain-to-ocean scenery, and year-round outdoor recreational activities make Gibsons a rather special for the 4,000 permanent residents. 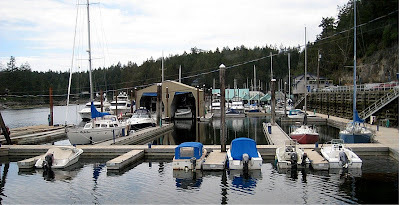 Gibsons Marina. Note Wild Blue docked on the far left. 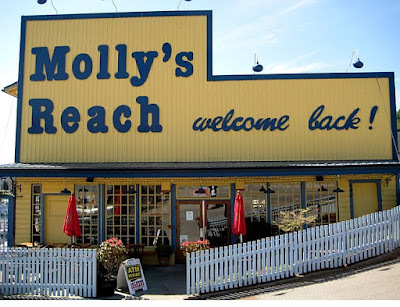 Molly's was a great place for "poutine". We ordered it on each visit to Gibsons. Poutine is a dish consisting of French Fries topped with fresh cheese curds covered with brown gravy and sometimes additional ingredients. 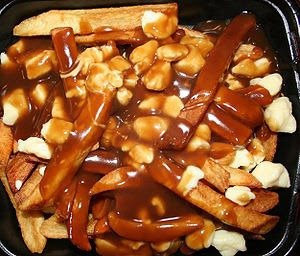 It is a quintessential Canadian comfort food especially in Quebec. Unfortunately (especially for Jerry Watkins and Alex) they stopped serving this dish just recently. 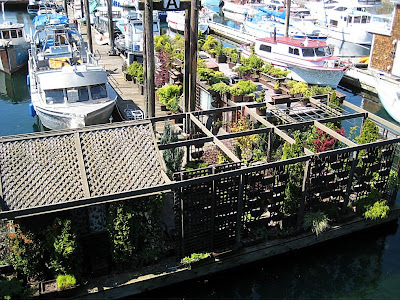 Pat always enjoys this floating garden in Gibsons public marina. It's too early for the color. 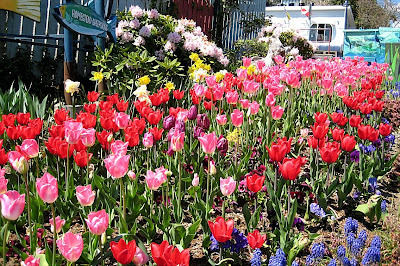 Tulips are in bloom in these cold winter climates. Once again Pat is the constant gardener. 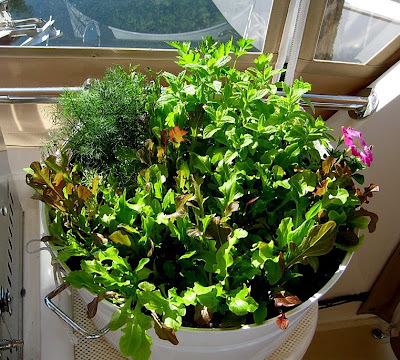 This garden is growing on Wild Blue's "hot house" flybridge. 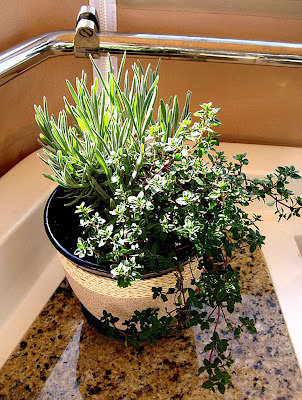 Not only is there color, but lettuce and herbs for "trim as we cruise" freshness. Even more herbs. I hope we catch enough fish to use them all. 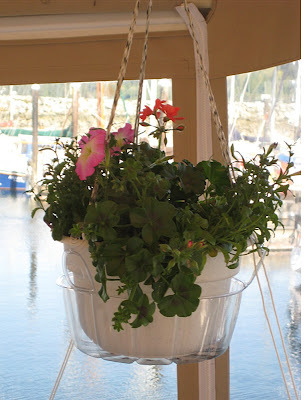 Pat asks: "How can we cruise to Alaska without a hanging flower pot"? 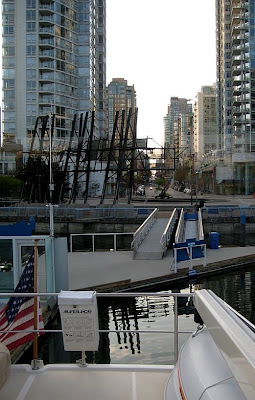 Tomorrow we cruise further up BC's Sunshine coast. 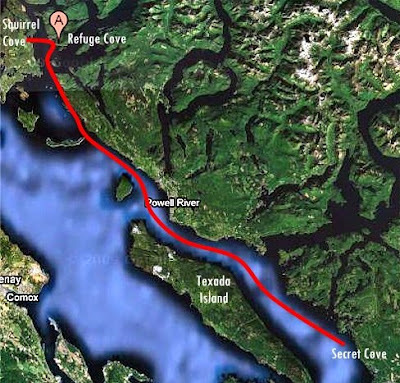 We'll probably stop in Secret Cove or move on up to Refuge Cove in Desolation Sound. We may not have internet access so the Blog might be delayed.